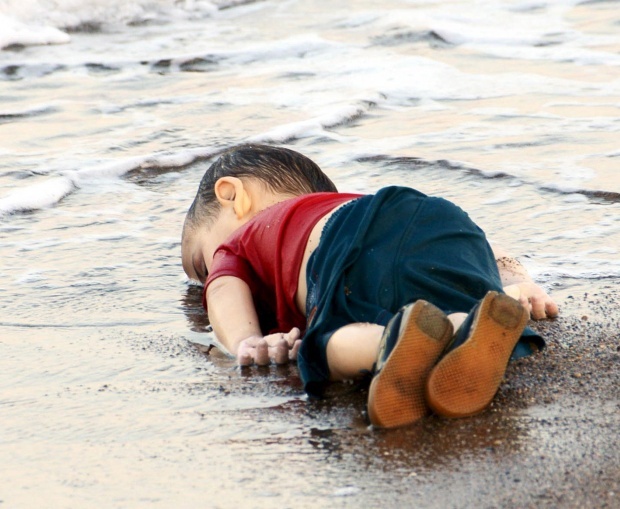 ANKARA (Reuters) - An image of a drowned toddler washed up on the beach in one of Turkey’s prime tourist resorts swept across social media on Wednesday after at least 12 presumed Syrian refugees died trying to reach the Greek island of Kos. The picture showed a little boy wearing a bright red t-shirt and shorts lying face-down in the surf on a beach near the resort town of Bodrum. In a second image, a grim-faced policeman carries the body away. 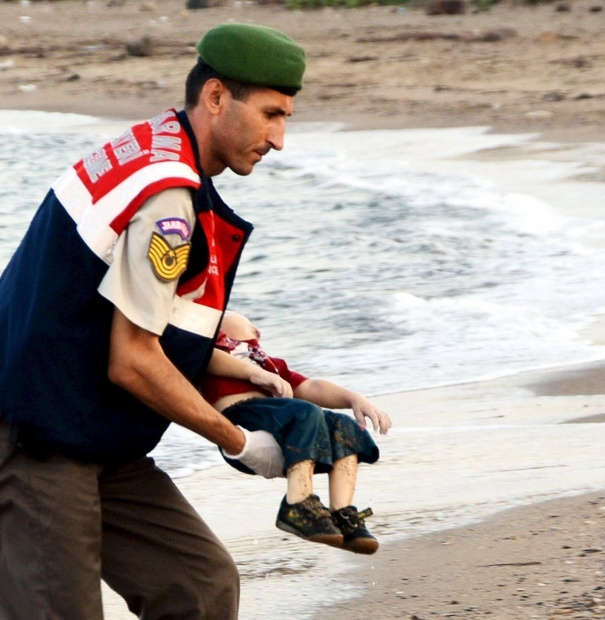 Turkish media identified the boy as 3-year-old Aylan Kurdi, whose 5-year-old brother died on the same boat. Media reports said he was from the north Syrian town of Kobani near the Turkish border, scene of heavy fighting between Islamic State insurgents and Kurdish regional forces a few months ago. The hashtag "KiyiyaVuranInsanlik" - "humanity washed ashore" - became the top trending topic on Twitter. In the first few hours after the accident, the image had been retweeted thousands of times. The two boats, carrying a total of 23 people, had set off separately from the Akyarlar area of the Bodrum peninsula, a senior Turkish naval official said. The confirmed dead included five children and one woman. Seven people were rescued and two reached the shore in life jackets. The official said hopes were fading of saving the two people still missing. The army said its search and rescue teams had saved hundreds of migrants in the seas between Turkey and Greek islands over the last few days. Tens of thousands of Syrians fleeing the war in their homeland have descended on Turkey’s Aegean coast this summer to board boats to Greece, their gateway to the European Union. “European countries’ worrying approach to the flow of migrants has caused sorrow and it has been evaluated that the issue should be taken up in a basic human rights perspective.” the statement said.